Used car guys bring you the most accurate, up-to-date car valuation of your car or a car you are thinking of buying. It’s free and it’s immediate online quotes. Step 2 – You tell us what condition the car is in and how many miles it’s done. Step 3 – Tell us a few details so we can customize the service for you. 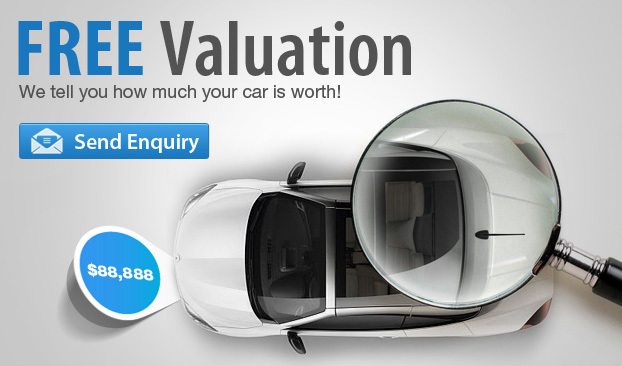 Step 4 – Get your personalized car valuation. Before you sell or trade in your car, it’s vital to know its current value. The good news is that a number of reputable websites give you quick access to this information. But before you start clicking through price estimates, it’s important to understand the differences among the types of used car values and to find out what makes your car worth more or less. This will help you select the best price for your situation and get the most money for your car. Read on to learn more about How Much is my Car Worth so you can price your used car right. It’s no secret that a vehicle’s history impacts its value. If your car has a clean history, this can be a great selling feature that bolsters its value. Has your car been in an accident? Was it repaired properly by a reputable source? Be transparent about any damage history and present yourself as a trustworthy seller – 50% of used car buyers are open to purchasing a car with minor accident history. Give them a VTNZ report to provide third-party validation of the vehicle’s history, even accident history, and help provide peace of mind that any damage has been repaired properly and the vehicle is in the same condition you say it is. What is your odometer reading? The average New Zealander drives 30,000 km per year. If it’s higher than average, this may be something you can explain. If you racked up the kilometers making highway trips commuting to work, share this info with the buyer, as this type of travel causes less wear-and-tear than driving in stop-and-go city traffic. Most people don’t realize that depreciation is the single most expensive cost of vehicle ownership. Understanding how a vehicle has historically held its value can be helpful when assessing the cost of one vehicle over another. It is also helpful when determining at what point during the loan term you will be in an equity position. Whether you are buying or selling a vehicle, you want to be confident that the price is right. Everyday we track thousands of retail listings and provide you with the most up-to-date average asking price for similar vehicles. Before you set your list price or make an offer to purchase, use our tool and go in smarter. Because we have so many locations (1. Auckland car buyers, 2. Hamilton car buyers, 3. Wellington car buyers, 4. Christchurch car buyers). that we can sell from, and the largest customer database of buyers looking for specific vehicles, we can optimize our inventory to get the right cars to the right place.